Debby is a seasoned executive coach, author and attorney who partners with senior leaders in large companies, entrepreneurial ventures, and professional services firms to develop their leadership skills and improve bottom-line results. Prior to becoming a coach in 2002, Debby spent over 16 years as a practicing lawyer, focusing on corporate, intellectual property, and technology law. She has worked with executives within companies of all sizes, from small start-ups to large, multi-national organizations. 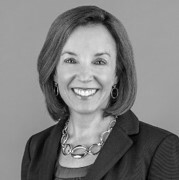 In addition to her legal experience, Debby has also worked with a top professional services firm in strategic management consulting. Debby is the author of The Art of Self-Promotion: Tell Your Story, Transform Your Career, which has been hailed as “immensely practical” and “the perfect how-to guide” for professionals. As coach, her ability to understand even the most complex industries along with her warm, witty, and empathetic personality allows her to quickly build rapport with her clients. Leveraging her prior work experience, her entrepreneurial creativity, and her ability to navigate diverse business environments, Debby has successfully coached a broad array of leaders facing a range of challenges and opportunities.